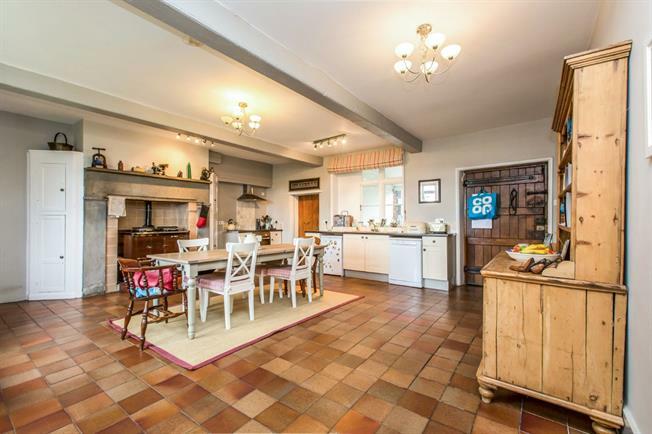 7 Bedroom Detached House For Sale in Sandbach for Offers in the region of £900,000. Accessed via a private tree lined driveway this simply stunning five bedroom detached house offering spacious living accommodation for a family and with the benefit of a two bedroom self contained annex for those looking for extended family living accommodation or rental opportunity and can be easily changed back in to one good sized property. Situated on a generous plot of approximately 2.34 acres (not measured) made up from formal gardens and paddock. Located in the beautiful rural location of Brereton with far reaching views over open countryside just outside of the popular towns of Holmes Chapel, Sandbach and Crewe all offering a good range of shops, train stations with direct links to London, Birmingham and Manchester, places of local interest and local schools.